Dr. Scott Turansky writes, “Children need to know what godly character looks like in practical terms. We love the character quality of honor, not just because God commands it, but also because it has so much rich meaning for parents, teachers and children. It can give direction in many of the frustrating moments we experience in family, ministry and in life. In fact, every form of selfishness has an honor-based solution. “Use our honor definition or make up your own. The point is that honor changes people. It changes the way that parents and teachers relate to their children, the way children relate to each other, and the way children relate to their parents and teachers. We all need it. “You can use the concept of honor in correction or when things are going well. You can use it when you teach your children about money, time, and other resources, and you can teach it when conflict comes around. One fun way to teach it is on special occasions when someone wins a contest or earns a certificate. You may show honor by giving that person a fancy place at the table or by decorating his or her bedroom door. Find ways to lift your child’s eyes from self to God. Reinforce and motivate attitudes and behaviors that honor God and others. Show how faith is relevant to life. Encourage; affirm; model; pray. 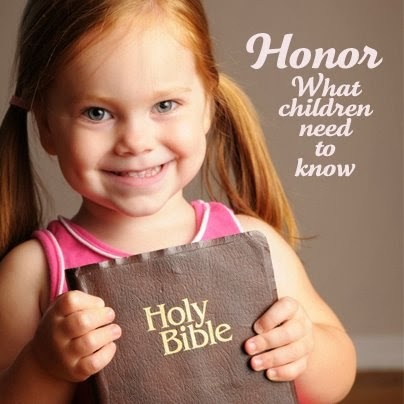 Know God intimately: help children develop a reservoir of Bible knowledge. Love God passionately: practice displaying Christ-like character in every area of life. Serve God selflessly: demonstrate faithful conduct that honors God and others. Your children can achieve balanced growth in Bible knowledge, Christ-like character, and faithful conduct—everything kids need to develop godly character for life. You may want to review our nursery curriculum for infants and toddlers. For children ages 3-5, a complete Bible learning system can help kids grow in Christ-like character. As your baby grows and develops, children ages 5-6 will meet more than 48 different Bible personalities in our kindergarten curriculum. Throughout their elementary years, children need to establish solid foundations, experience victorious living, and build essential life-skills. Core Bible provides 6 years (24 quarters of sequential Bible curriculum), DiscipleLand Adventure motivates kids to pursue their discipleship journey, and for kids church, DiscipleTown equips kids with essential discipleship skills. Click here for your free Fall Resource Catalog. 1: Dr. Scott Turansky, “Parenting Insight” Web. Aug, 2012.